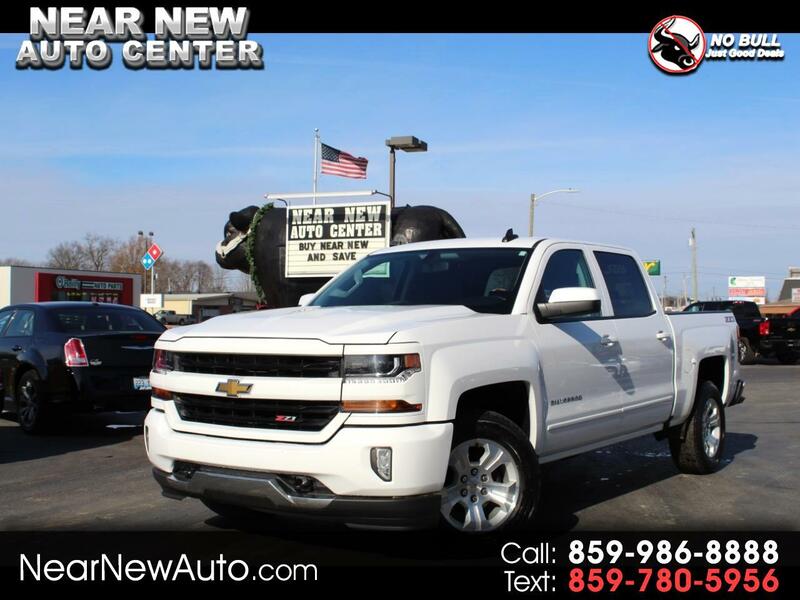 2018 Chevrolet Silverado **Go to NEARNEWAUTO.COM for more information** Extra Clean 2018 Chevy Silverado, Crew Cab, 4x4 with Z-71 Package, Power Seat, Back-Up Camera, Towing Package with Built in Brake Controller, Fully Serviced, Checked & Road Tested, Buy with Confidence! Why buy new when you can save thousands without sacrificing quality? Want a different picture, another angle, question about options or vehicle history? Don't hesitate to call or stop by and we will be happy to accommodate your request. In business for over 40 years at same location with owners here every day to take care of our customers. Come see the difference and take advantage of our on the lot financing and low interest rates. View our entire inventory and more pictures at www.nearnewauto.com or Call 1-888-861-7198 for more information.